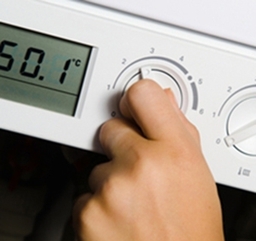 Welcome We are a national heating contractor who specialise in installing boilers. All of our boilers are A rated and come complete with a 10 year manufacturer warranty!! Boiler Replacements The boilers are paid for by the 6 major energy suppliers as part of the government's commitment to reduce carbon emissions. You could qualify for a FREE boiler If you are in receipt of one of the following: Tax credits, Job seekers allowance, Income support, Employment support allowance E.S.A and Pension credit. Free boiler replacements are available as part of the Energy Companies Obligation (E.C.O). Pay Monthly As our boilers come complete with a 10 year manufacturer warranty you can cancel your boiler maintenance package giving you further savings.We can provide your new boiler fully installed for around £1 per day with no deposit. In most cases it will pay for itself!